The Pitch: "ABC: We're the Diverse Family Network"
Quick Response: It's awesome, by the way, that ABC has carved out this Diverse Family brand and that they're making it work and that they keep adding family shows that are fairly good, as well as just different from what other networks are trying. 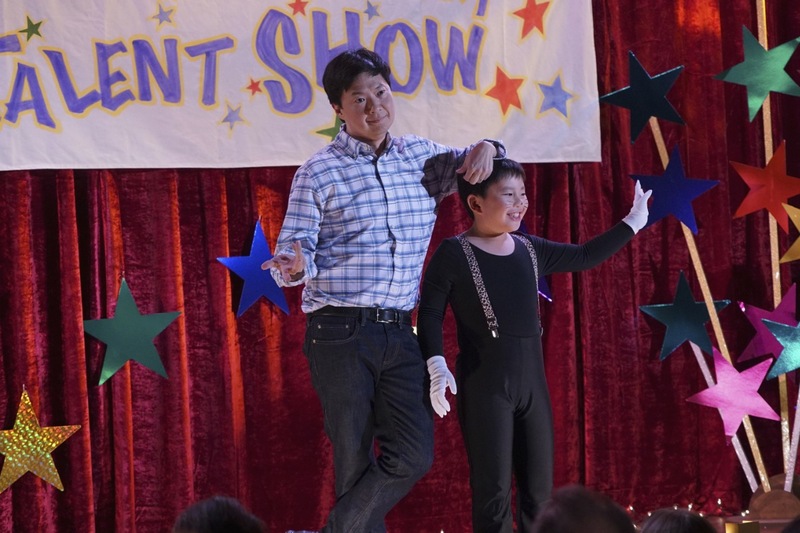 "Dr. Ken" is nowhere near as good as "Fresh Off The Boat," "Black-ish" or "The Goldbergs," but it was less annoying than both ABC's promo reel made it look and less annoying in its second half than in its first. That first half is just Ken Jeong mugging for 10 minutes, flailing his limbs, doing not especially funny impressions of older Asian relatives and flailing his limbs some more. I quickly started to feel just a bit uncomfortable for co-stars including Suzy Nakamura, Tisha Campbell-Martin, Jonathan Slavin and Dave Foley, who all seem much more comfortable with the volume necessary to look like a human even while playing for laughs in the multi-cam format. Jeong's desperation for audience approval, something that's always been part of his comedic persona, is at its worst in the milieu. But halfway through, maybe somebody whispered, "Chill, dude" in Jeong's ear, or else the writers decided they no longer needed to have Dr. Ken impersonate and insult every person he interacted with and with that modification, I was able to find a couple lines of funny dialogue and some sweetness in the family relationship. I think Krista Marie Yu may actually be good as Jeong and Nakamura's teenage daughter, but it's a little sad to see Albert Tsai stumble over the line from effective sitcom kid mugging to just mugging. This fan of "Trophy Wife" and "Fresh Off The Boat" initially wanted "Dr. Ken" to just become the Albert Tsai Show, but that instinct slipped away. So much of ABC's push for "Dr. Ken" is about Jeong and his real medical credentials and all of that, but he's probably the weakest part of the show so far and I think the uncertainty about how to pitch the main character poisons his interactions with the rest of the ensemble in the first half and then he just becomes forgettable in the second half. As a single-lead-driven comedy, I don't think "Dr. Ken" is going to be able to work at all, but "Last Man Standing" started out as a similarly imbalanced vehicle for Tim Allen and then settled into something more ensemble-y. When you have pros like Campbell-Martin, Foley, Slavin and Nakamura, it'd be a mistake not to lean on them more. Desire To Watch Again: Pretty low. Jeong's name, his first name at least, is in the title and he also co-wrote and co-created the show. He's been a scene-stealing supporting player for a long time and you know he wants to see if he's ready to be a lead. The pilot suggests the answer may be "No," but if the improvement of the second half carries through into the second episode, maybe "Dr. Ken" can be mediocre instead of bad. I thought it was the worst promo reel of the major network upfronts. Will be tough to give it a shot. Other than saying "It's a bit better than the promo reel," I won't make much effort to tell anyone to give it a shot.